A good cycling helmet is essential if you plan to go for a ride. 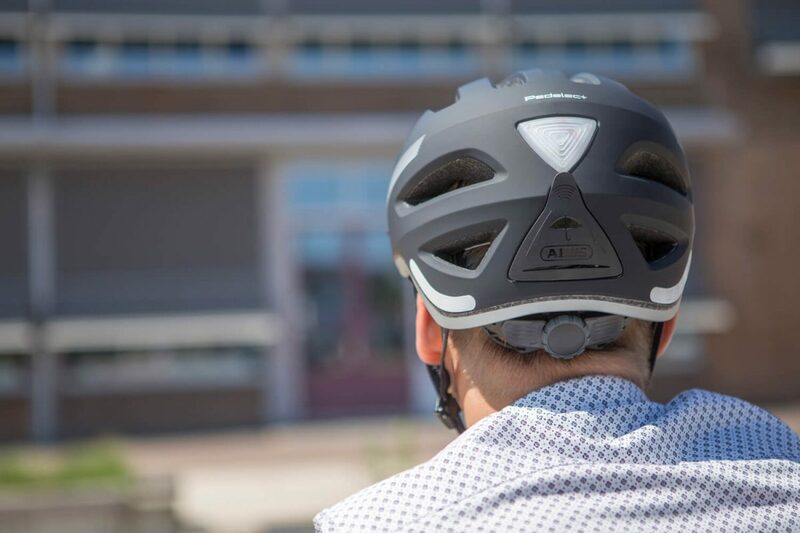 It has become commonplace on both road bikes and mountain bikes, and even city bike riders are spotted wearing a cycling helmet more frequently. 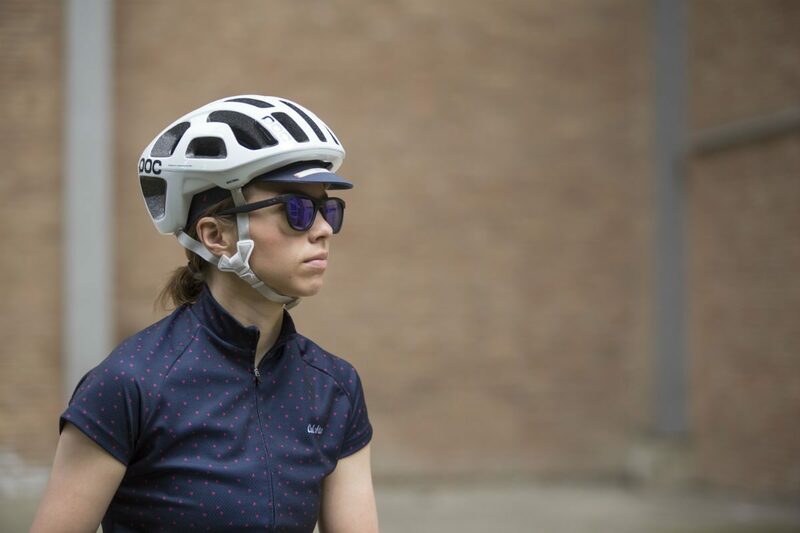 Agnes helps you find the right cycling helmet in her cycling helmets buyer’s guide. There are different cycling helmets for every discipline. There are special helmets for road bikes, mountain bikes, downhill bikes, high speed e-bikes, and children. Knowing what bike you’ll be climbing onto gets you a long way. Still, there can be major differences between various cycling helmets. A good cycling helmet is safe! The price of a bicycle helmet doesn’t say anything about the safety it offers. All bike helmets that we carry, from inexpensive to high-end, are approved under the European EN1078 standard. A road bike helmet has plenty of vents so you can optimally dissipate your body heat. The special speed pedelec bike helmets naturally meet the separate NTA 8776 standard. 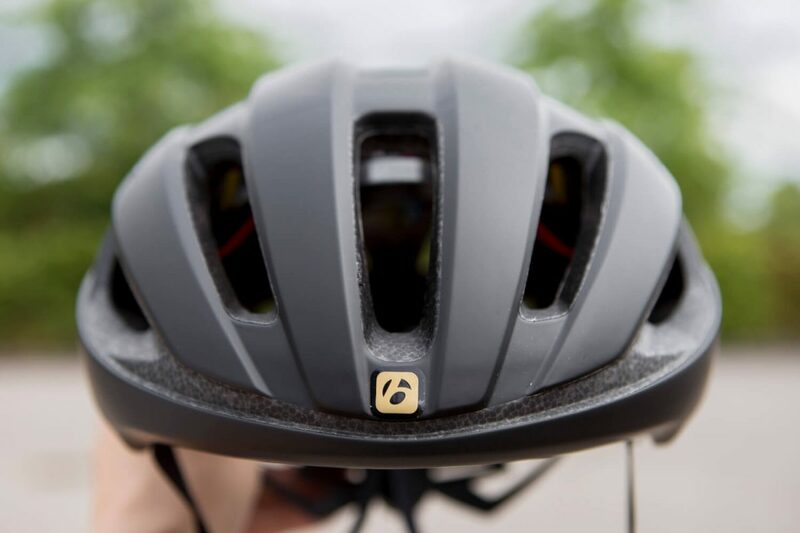 A speed pedelec -or high speed e-bike- helmet has to offer more protection than a regular bike helmet, since it’s easier to achieve higher speeds on a high-speed e-bike. Some of the high-end bike helmets do offer additional safety which less expensive helmets don’t. These helmets feature MIPS. Read all about this added layer of safety in this blog. When you’re shopping for a helmet, you’ll probably know what type of bike you’ll be on while wearing it. You can choose for a different type of cycling helmet for every discipline, but you don’t necessarily have to. For road bike helmets, ventilation matters, as do aerodynamics. Getting onto your road bike wearing a full face downhill helmet might be considered overkill though. Swapping between the road bike and a regular mountain bike however, you can easily get away with using the same helmet for both applications. A mountain bike helmet is less aerodynamic but offers more protection. We list the most important differences between the various types of bike helmets for you, helping you determine the pros and cons of the various different kinds of helmets. Whenever you get on your road bike, you’ll want speed obviously, but proper ventilation matters as well especially on the warm days. The key is to find a balance between the two. More vents in your helmet means more cold in frigid conditions or with an early morning start. The solution? A cycling cap! Often the most expensive road bike helmets tend to offer the better ventilation. It’s harder to create a bike helmet with plenty of vents without compromising its safety. This makes developing and manufacturing a helmet more expensive. A less expensive bike helmet is often made using a larger block of foam with fewer holes than a more expensive helmet. Still some of the more high-end helmets offer very few vents. Road bike helmets that do it all? 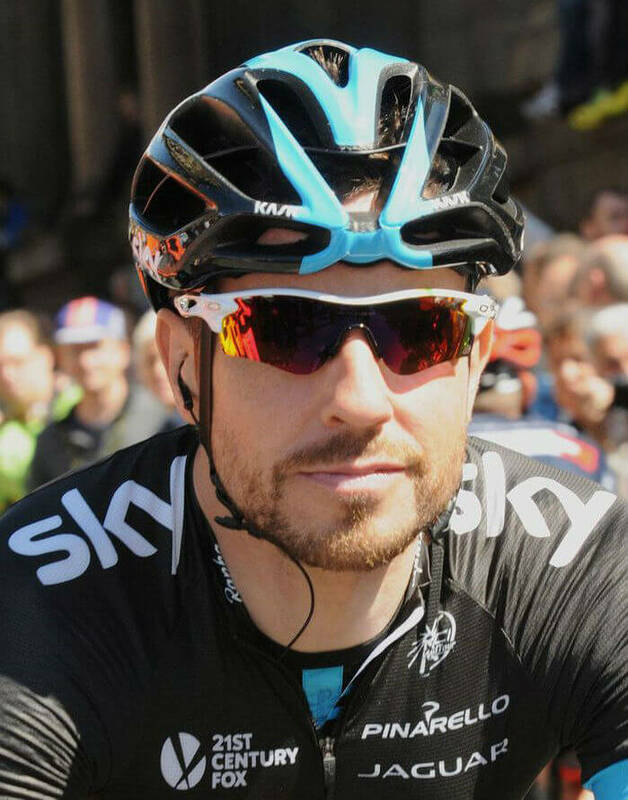 A great example of such a helmet is the Kask Protone. Though it doesn’t have that many vents, they’re arranged in such a way that the air can flow through the helmet virtually unobstructed. This means it will still keep your head cool. The more closed off rear and top sections make the helmet more aerodynamic while the rounded design means you can look around without the helmet suddenly creating more drag. Designing and developing a bike helmet such as this one takes time and money, which shows in the price. They have thought of every little detail though, even fitting this particular road bike helmet with a luxurious leather strap under the chin. Rather not spend a fortune on a helmet? We don’t blame you. Today’s cycling helmets are made in such a way that even the less expensive helmets offer decent ventilation and sufficient protection. You do suffer slightly when it comes to weight and comfort. Some people barely notice a heavier helmet, but personally I really feel the helmet “sitting” on my head if it’s on the heavy side. A bike helmet for a high-speed ebike is longer at the back. This is a matter of personal preference though and something not everyone will actually feel, so it’s a good idea to try a few helmets on. It also helps you experience the differences between various brands and helmets. Going fast on a speed pedelec requires proper protection for your head, should you ever have a crash. The padding can make a big difference in fit, as can the retention system and chin straps. Every head is a little different, making each helmet look and feel different too. We therefore recommend trying out helmets to see which best suits you. 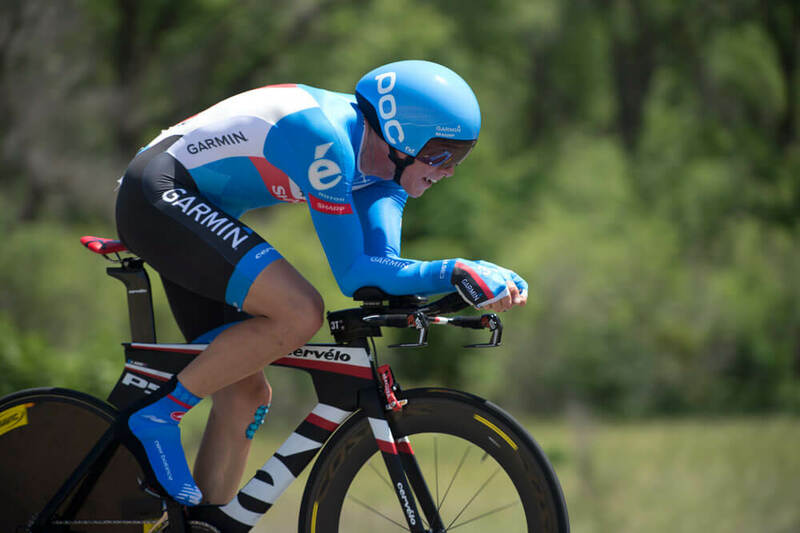 Aim to set a new personal best on your time trial bike? Then you can’t do without an aerodynamic bike helmet. These helmets have been developed to cause as little drag as possible. Aero helmets have little to no ventilation. You have dedicated time trial helmets like the KASK Bambino, POC Cerebel, and Giro Aerohead MIPS. These have been designed to perform at their best in a time trial. The aero bike helmet is fully enclosed, often comes with a visor, and has been wind tunnel-tested to help you achieve your best time yet. As these helmets have to be as aerodynamically efficient as possible, you’ll find very little in the way of vents or exhaust ports. This means that these bike helmets will feel warm a lot faster, making them less than suitable for your weekly ride. An aerodynamic bike helmet, but with a small vent on either side for improved ventilation. Want to improve your aerodynamics on the bike without having to wear a dedicated time trial helmet? Then you can opt for an aerodynamic helmet which has been fitted with adequate ventilation. These helmets aren’t as open in their design compared to regular bicycle helmets, but they still manage to offer sufficient ventilation to keep your head cool during a ride or race. This kind of helmet is particularly popular with racers and advanced cyclists. An ideal mix of speed and comfort! Great examples include the MET Manta, Bontrager Ballista, and BBB Cycling Tithon. There are specific mountain bike helmets for when you take to the trails. These helmets are a little different from road bike helmets. For instance, a mountain bike helmet has a visor at the front of the helmet which helps to keep both dirt and the sun out of your eyes. Ideal for when you’re about to tear up the trails! The visor on the front of a mountain bike helmet is very effective at keeping mud and sand thrown up by the front wheel out of your eyes. Plenty of cyclists use a road bike helmet on their mountain bike. While this is perfectly fine, we do recommend using a cycling cap to keep at least some of the dirt out. Alternatively, the visor on mountain bike helmets is often removable. A road bike helmet on a mountain bike is not uncommon. So do you ride both a road bike and mountain bike? Then we’d recommend you get a mountain bike with a removable visor if you don’t want to get a dedicated helmet for every specific cycling discipline. Besides having the visor on the front, mountain bike helmets made over the last few years have an elongated rear section as well. While you’re more likely to slide along the road when having a crash with your road bike, chances are you’ll fall over or flip on your mountain bike. 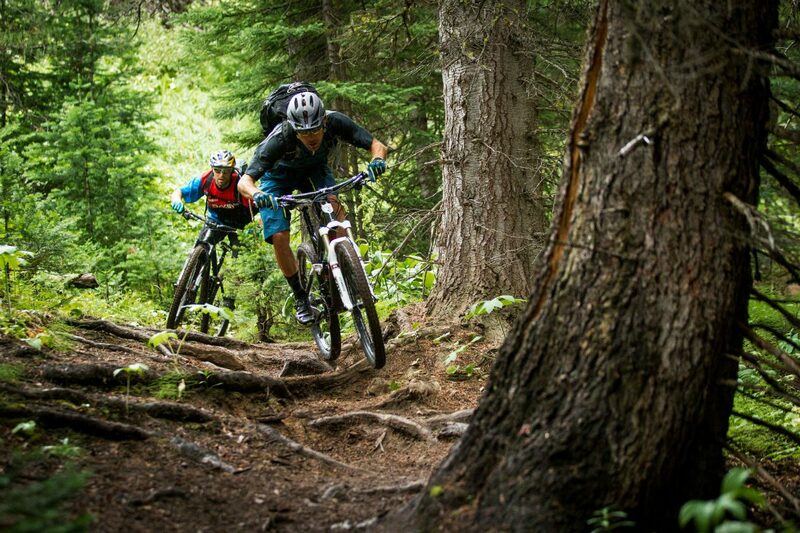 The more dangerous your mountain bike adventures are, the more protection you demand from your helmet. This difference also changes the impact your head might endure, increasing the risk of hitting the back of your head on something. Want to protect the back of your head from rocks or tree stumps? Then go for an MTB helmet with a longer rear section. A few mountain bike helmets which clearly show the difference are the POC Tectal Race, Giro Chronicle MIPS, and BBB Cycling Varallo. 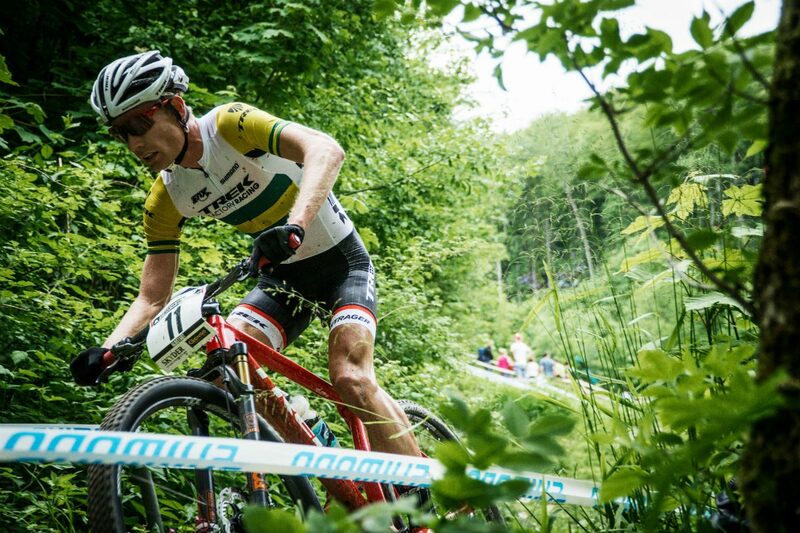 In the habit of pushing the limits even further, and is “regular” mountain biking not enough to get your blood pumping? Then a fullface helmet is a must. The name of this type of helmet says it all really: it protects your entire head and face! Not ideal for road cycling, but essential for downhill mountain bikers. Especially essential when you’re in the habit of thundering down a mountain as fast as you can. 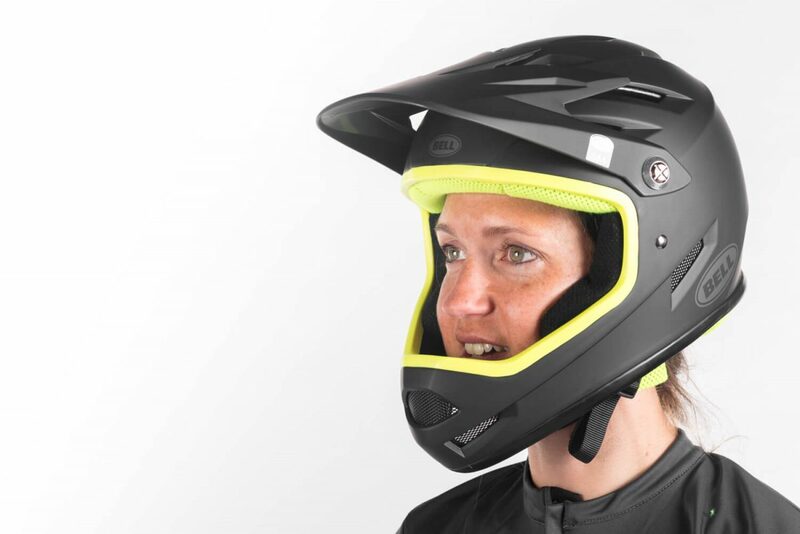 The fullface helmet encloses your entire head and has a chin guard to protect your teeth and chin in the event of a crash. This way you make sure that no matter how hard you crash, your head stays in one piece. We do recommend you wear full protection to keep the rest of your body safe as well. 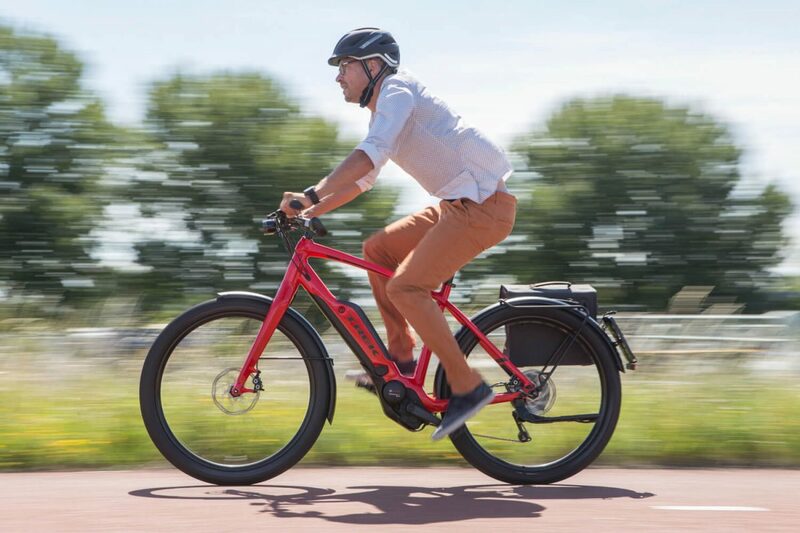 In the Netherlands, high speed e-bikes -or speed pedelecs- are becoming increasingly popular. This year, the government introduced a compulsory helmet law specifically for these bikes. Regular bike helmets don’t offer sufficient protection for the speeds these high speed e-bikes are capable of reaching. It’s why the special Speed Pedelec helmet has been introduced. 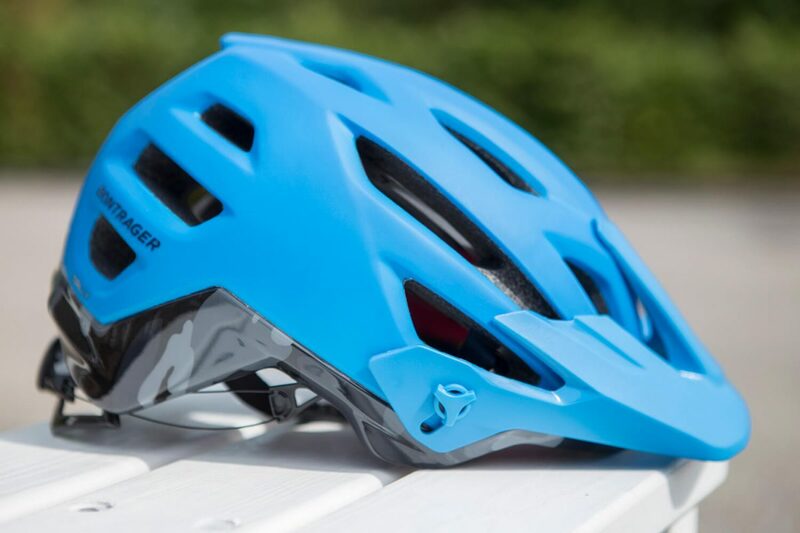 A Speed Pedelec helmet offers more protection around the temples and has an extended rear section. 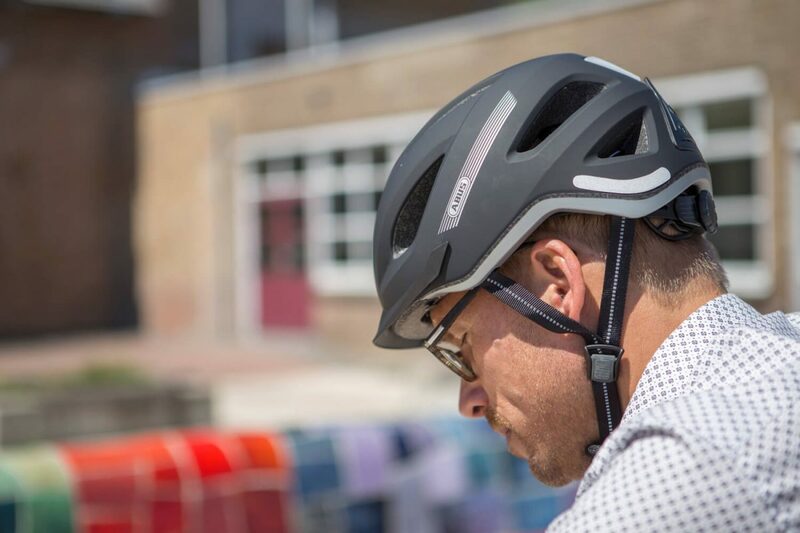 These bike helmets can withstand more extreme impacts, are slightly larger, and have an extended rear section. In many ways they look similar to mountain bike helmets. We’ve got specific children’s bike helmets in our collection for the very youngest of riders. These helmets have a much smaller fit. Naturally, they boast many great colours and prints so kids actually enjoy wearing their helmet. Bicycle helmets for kids really come in all colours. Children are particularly likely to crash their bikes, and their heads are more vulnerable as well. 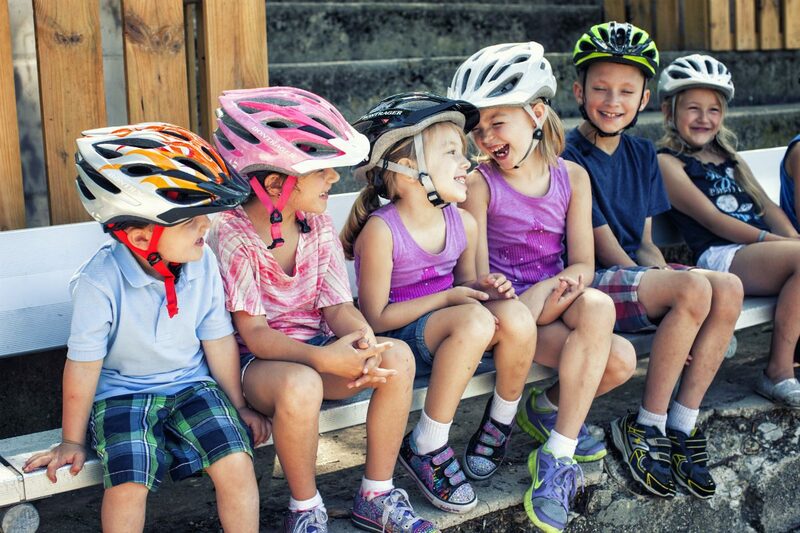 When purchasing a bike helmet for your child, the correct fit is of absolute importance. 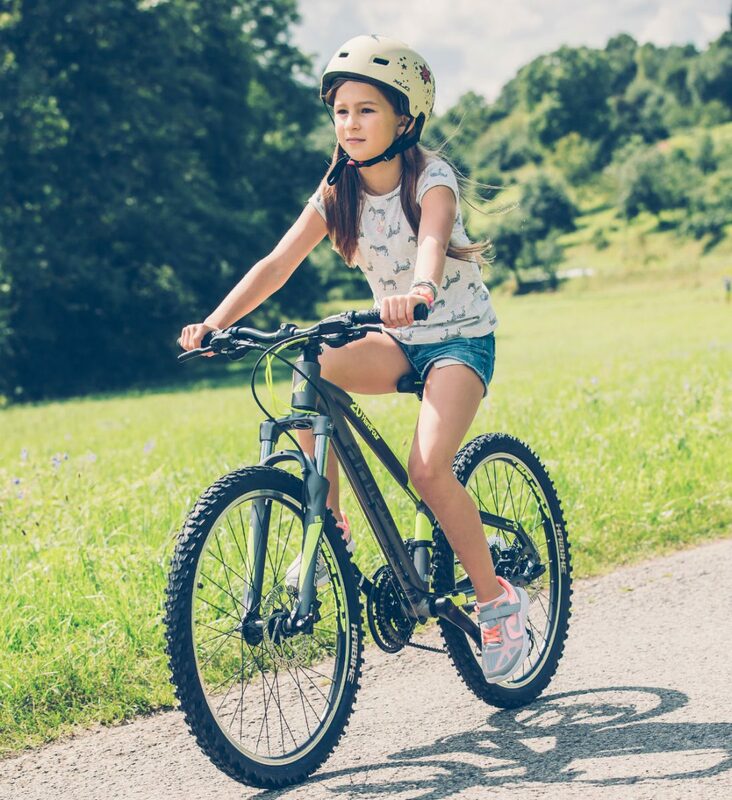 It’s tempting to buy a slightly larger helmet, figuring they’ll grow into it, but this negates the protective properties a helmet would normally offer. Never buy a helmet for a child to grow into, it has to fit perfectly. A bicycle helmet which is too loosely fitted will offer only a fraction of the protection you’d otherwise expect. If a bike helmet is too loose, it’ll slide forward or backward in the event of a crash, nullifying the protective properties. Fortunately kids bike helmets are competitively priced, meaning you can buy fitting helmets as your child grows up. Track-, road-, or mountain bike. Whatever it is, I love it. Cycling started out as an alternative to skating in the summer. I then moved to track cycling at the highest level, and rode my mountain bike on rainy days and during the winter. I currently have a Giant TCR Advanced 1 LTD and a Sensa Merano SFB Pro. I might just get a racing licence next year, and start competing again! it’s very simple; listen carefully. ignore what cycling culture says and understand one simple fact: a half helmet is only half of a helmet. if you decide to wear a helmet; wear a FULL helmet; or just remember during an accident to turn the protected part of your head towards the direction of impact. you will see many unfortunate people who believed what bicycle culture that told them; that THEY did NOT need a full face helmet. so what’s the best helmet for all types of riders in 2019 ? which helmet offers protection to the face, is light weight, allows good peripheral vision AND has great ventilation? Bicycle Lights Buyer’s Guide 2018 – Light up even the Darkest Days! Cycling Shoe Size Guide – Which Size Do I Need?